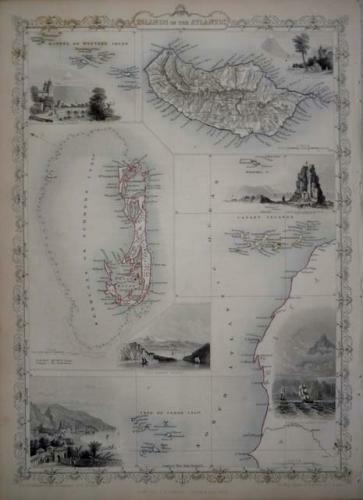 Title: 'Islands in the Atlantic' from the Íllustrated Atlas'. John Tallis was one of the last great decorative map makers. His maps were engraved by Rapkin and are prized for the wonderful vignettes of indigenous scenes.